Helen as born on April 19th, 1936, the daughter of Thomas Frank and Annie F. (Welker) Elam in Cowgill, MO. She attended Cowgill School. On June 22nd, 1951, Helen was united in marriage to Charles Junior Findley at the Cowgill Baptist Church. They lived in the Cowgill and Braymer area, Vibbard and Pleasant Valley, MO for the last 20 years. Helen was a homemaker, she enjoyed gardening, cooking, grandkids and family. 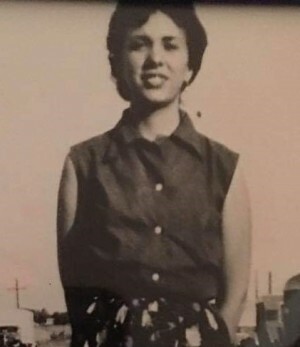 Helen also enjoyed fishing, spending time with her friends, being a Sunday School teacher, a Den Mother for Cub Scouts and a caregiver for the elderly and disabled. Mrs. Findley was preceded in death by her parents; 8 siblings: Earl, William, Clifford, Eugene, Bobby, Mary Will, Velma and Gertrude, grandson, Charles Nathan Findley; son in-law, Charles D. Houston. Survivors: husband, Charles of the home; daughter, Kathy (Steve) Ballard of Pleasant Valley; daughter, Karen K. Houston of Rayville; daughter, Sheryl J. Findley of Pleasant Valley; son, Michael Findley of Pittsburg, PA; grandchildren: Melanie Houston, Michelle Zuercher, Merrideth (Zuercher) Malone, Miranda Zuercher, Keith Houston, Jason Zuercher, Amy (Findley) Winters , Toni (Findley) Greim, Vincent Serafini, Sarah Findley and Austin Findley; 20 great-granchildren; 1 great-great grandchild; several nieces, nephews and other extended family.